After receiving the largest donation in its history, the Jewish General Hospital inaugurated its new heart centre on Monday, the Azrieli Heart Centre. Already renowned as one of the best heart centres in North America, it enjoyed a boost of $26 million from the Azrieli Foundation to continue improving care. “When someone comes in with a heart attack, 60 minutes later we're in a cath lab opening their artery. These are things that people would have died from 20 years ago,” said Dr. Lawrence Rudski. The Azrieli Foundation is named after David Azrieli, a Montreal construction magnate, philanthropist and Order of Canada recipient who died three years ago. “We are moved and honoured to be able to provide that type of opportunity,” said Naomi Azrieli, his daughter, and a member of the foundation’s board of directors. The $26 million will create a learning lab for nurses, provide more for robotic and general cardiac surgery programs, and improve the cardiac imaging program. “The incredible innovations and technological advances that we are able to catalyze with this gift, we hope will propel the JGH into one of the leading hospitals in the world for cardiac health and education and research,” said Azrieli. Health Minister Gaetan Barrette credits the foundation with allowing the hospital to take that extra step, adding that the Jewish community in particular has always supported this hospital. “And to that I'm thankful, as a government representative, but also for citizens in this city, where everyone can come here to be treated,” he said. 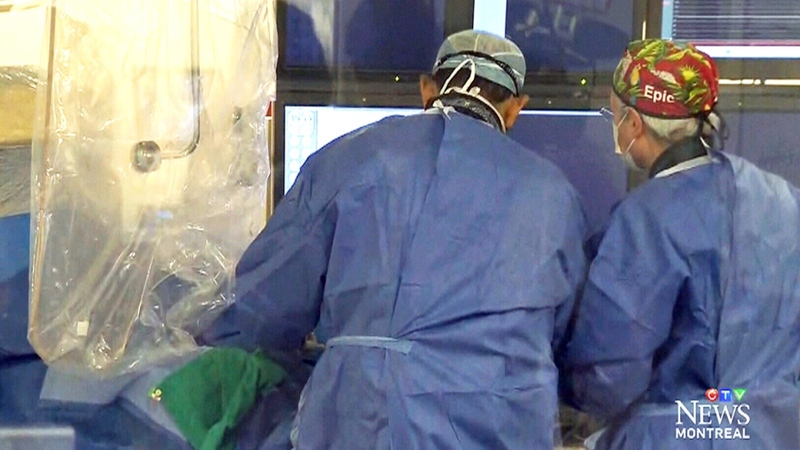 The Azrieli Foundation is also providing funds for the hospital's intensive care unit and it plans to continue to ensure the cardiac unit is always at the forefront of innovation.